DETROIT (Bloomberg) -- Cerberus Capital Management LP sold shares of Tower International Inc. in an $81.3 million initial public offering for 11 percent less than it paid to take control of the auto-parts supplier three years ago. The shares advanced in early trading today. Tower, which was bought by Cerberus in July 2007 and builds hoods and doors for Volkswagen AG and Toyota Motor Corp., sold 6.25 million new shares at $13 each on Thursday, 24 percent less than it sought, Bloomberg data show. The IPO valued the buyout firm's $181.6 million initial investment at $162.1 million. That stake was part of a $1 billion deal by Cerberus that brought Tower out of bankruptcy just before the credit crisis began. Cerberus sold new shares in Tower at a discount after the firm gave up its investment in Chrysler LLC's car business and relinquished most of its stake in General Motors Corp.'s GMAC LLC finance unit as part of bailouts of the auto industry. At least 54 companies have postponed or withdrawn their IPOs in the U.S. this year. “It underlines the sentiment in the U.S. IPO market,” said Josef Schuster, the Chicago-based founder of IPOX Capital Management LLC, which oversees $3 billion in assets. “It's surprising that it priced so low. At $13 it's a good value,” said Schuster, who participated in Tower's IPO. Tower advanced as much as 5.7 percent to $13.74 before trimming its gain to $13.08 as of 10:40 a.m. in New York Stock Exchange trading. Cerberus, which was Tower's only shareholder, spent $14.57 per share for its 12.47 million-share holding, versus the per-share price of $13 that IPO investors paid, its filing with the Securities and Exchange Commission and data compiled by Bloomberg showed. The offering cut the buyout firm's stake in Tower to 67 percent, according to the filing. Peter Duda, a New York-based spokesman for Cerberus, declined to comment. Tower's Frank Buscemi didn't respond to telephone calls seeking comment. Cerberus, founded by former Drexel Burnham Lambert Inc. banker Stephen Feinberg in 1992, took Tower public three years after leading separate groups that invested almost $15 billion combined for controlling stakes in Chrysler and GMAC. While Cerberus lost Chrysler's auto business last year and had its majority stake in Detroit-based GMAC diluted by the government, the buyout firm may still recoup all its investment in Chrysler through ownership of Chrysler's finance unit, a person familiar with the fund's performance said Thursday. Cerberus's flagship private-equity fund, which had the largest investment in Chrysler and GMAC, gained 30 percent last year and has climbed 18 percent in 2010, said the person, who declined to be identified because the information is private. Tower's initial sale is the second from the auto industry this year, following electric sports-car maker Tesla Motors Inc. in June. It also comes before a planned IPO from General Motors Co., which is 61 percent owned by the U.S. government after its own bankruptcy. GM will seek to raise $8 billion to $10 billion next month, less than the automaker had targeted, two people familiar with the matter said in September. Tower, which hasn't reported an annual profit since New York-based Cerberus acquired the company, has lost a total of $108 million over that period, its filing showed. The auto parts supplier still paid Cerberus $48.4 million in dividends. Tower may benefit from a rebound in auto demand. Global new vehicle sales may rise to an all-time high of 69.6 million this year, according to Nigel Griffiths, an economist for Lexington, Mass.-based IHS Automotive. Volkswagen is Tower's largest customer, accounting for 17 percent of sales. 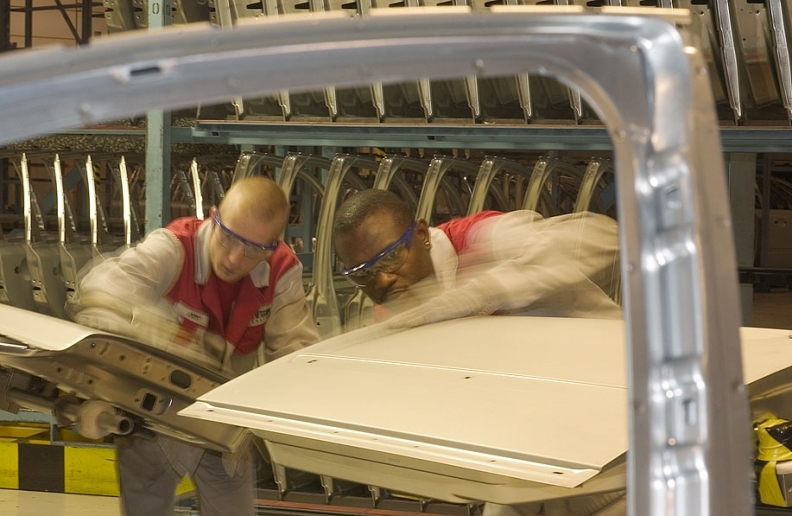 Tower also supplies auto bodies for Camry sedans that Toyota, the world's largest automaker, builds in North America.